Learn to do miniature punchneedle while creating a simple rug. All tools and supplies provided. Class will be held on Saturday, May 28, 2011 at 1:30 pm. Registration required by May 14, 2011. 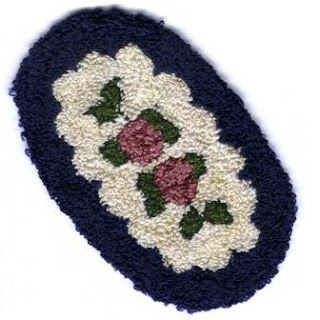 Once you have learned the basic application taught in this class, you will be able to master finer stitching techniques for even more beautiful and complex rug designs as well as chenille bedspreads.